The Brooks Building is located in the heart of downtown Saint Paul within the Lowertown Historic District. 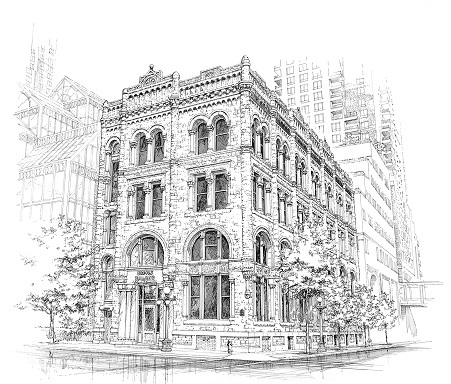 Completed in1892 by James J. Hill, the beautifully detailed building served as the Merchant’s National Bank until 1912 when it then became the McColl Building. Now the Brooks Building since 2001, this opulent office building is listed on the National Register of Historic Places.